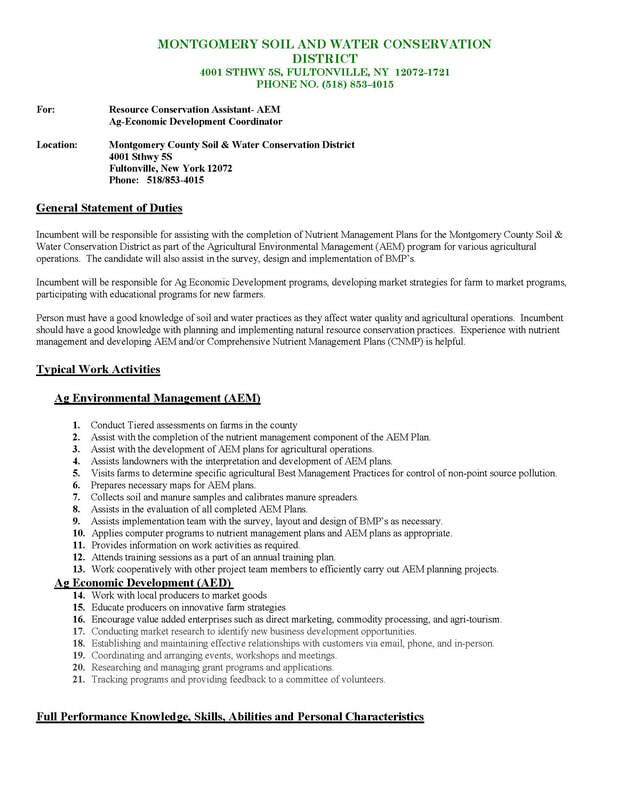 Montgomery County Soil and Water Conservation District is currently accepting resumes for a full-time Resource Conservation Assistant-AEM/Ag-Economic Development Coordinator. 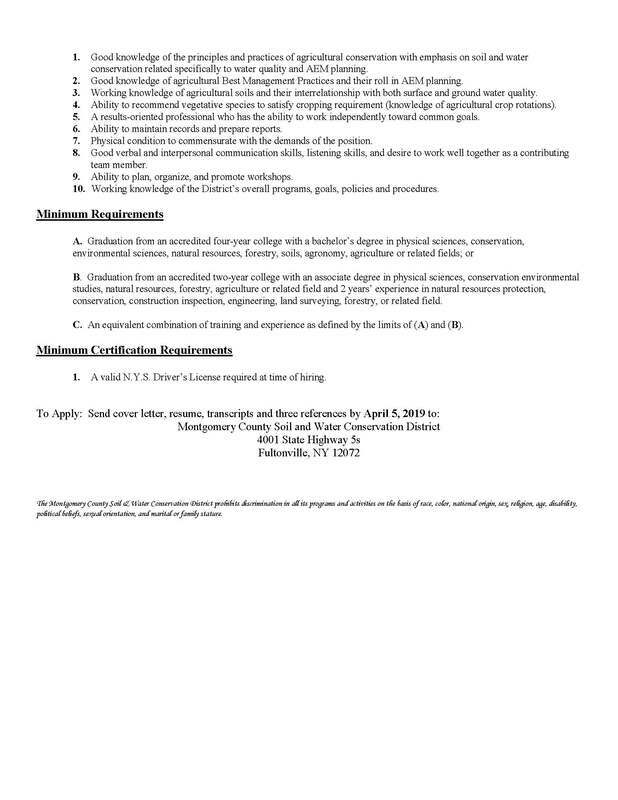 Interested candidates should send cover letter, resume, and 3 references to Montgomery County Soil and Water at 4001 State Highway 5S, Fultonville, NY 12072. 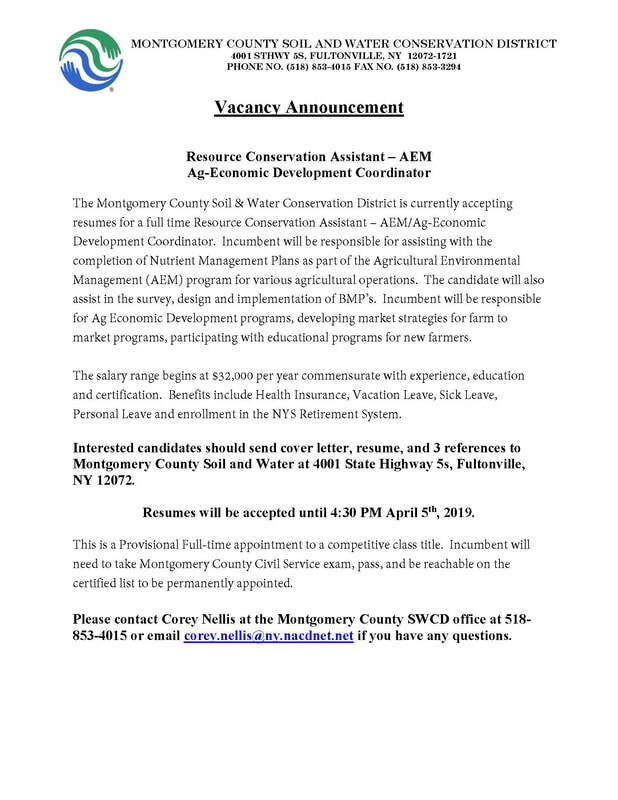 Please contact Corey Nellis at the Montgomery County SWCD office at (518)853-4015 or email corey.nellis@ny.nacdnet.net if you have any questions.